Media captionOwners and their pets will be treated to a screening of Disney classic Homeward BoundYou might think you had gone barking mad if you were at the cinema and sat down next to a dog. But pooches are welcome viewers at an independent cinema in Swansea on Saturday. Dog Furiendly is launching a cinema screening for dog owners at Cinema & Co on Duke Street. It will show the Disney film Homeward Bound and the sold-out event has been billed as the first of its kind in Wales. 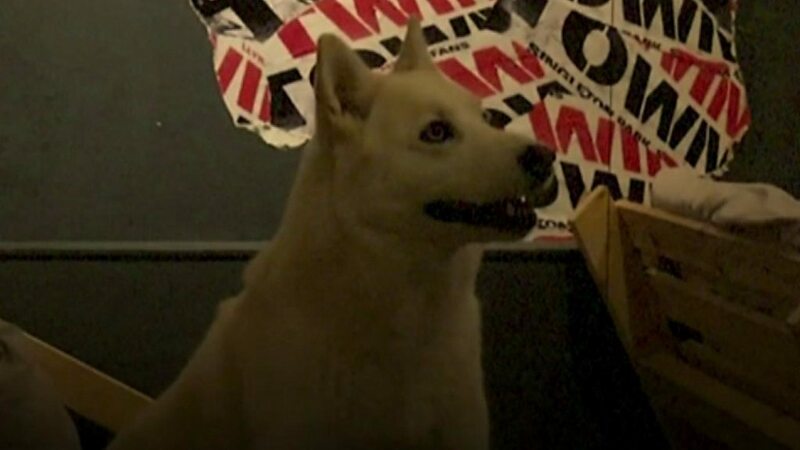 Dog-friendly cinema screenings have already had success in London and Glasgow. Would you bring your dog to work? Adele Pember, who founded the community website Dog Furiendly, said she organised the screening because her own pet Charlie, a four-year-old Jack Russell-Chihuahua, "suffers from separation anxiety". "Cinema has been one of the biggest barriers when you have a dog. There are always new films out, and I never want to leave him at home," she said. "It's really important for dogs to socialise with humans and other dogs as well." Image caption Peter Burnford (played by actor Benj Thall) with his dog Shadow (voiced by Don Ameche) in the 1993 film Homeward BoundPrior to the screening, there will be a quiz about famous dogs in film and TV. There will be plenty of "pup-corn" for adults - and even doggy snacks. The event coincides with the Chinese New Year of the Dog which begins at the weekend. Dog owner Lloyd Breeze-Timms said: "I thought it was a brilliant idea. My dog is definitely my best friend and I would take him everywhere that would let me. "So a place like this... I think it's wonderful. "Hopefully when Homeward Bound is on he doesn't start barking at the dogs on screen." Cinema & Co owner Anna Redfern said: "We are excited to open up the cinema to our furry friends and hope they find our venue as comfortable and relaxing as our humans do."